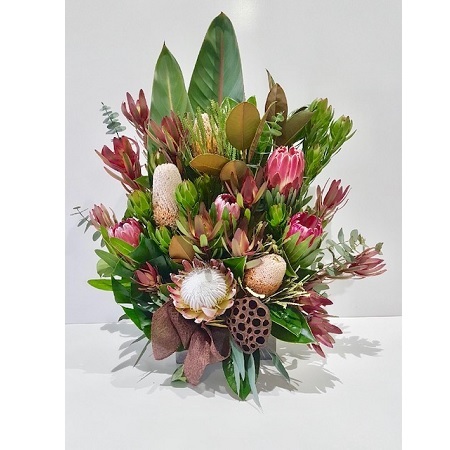 Tall backed arrangement in a stylish ceramic container with King protea, pink ice proteas, banksia, eucalyptus gum, spear grass and gymea leaves. These natives will brighten any room for a period of weeks. A treasured gift for anyone.